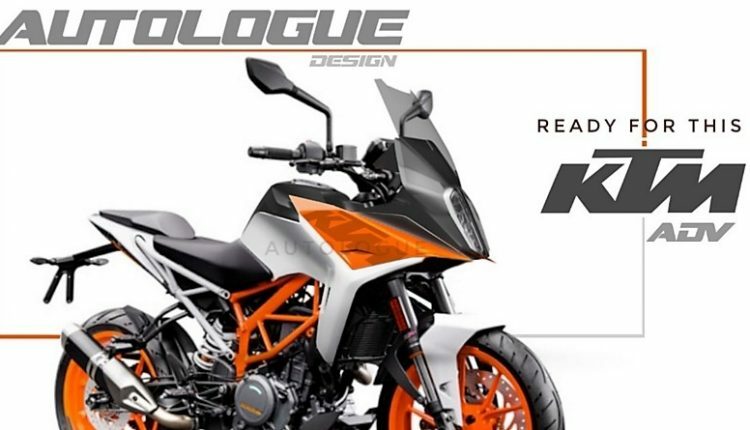 KTM 390 Duke Xplorer Edition by Autologue Design explores the dream world of every rider, thinking about a proportionately designed front area with exceptional wind protection and space for loading luggage in the fixed or removable bags. They have imagined the front section with a unique cowl, stretching into all direction and bringing benefits of a semi-faired motorcycle on the KTM Duke. 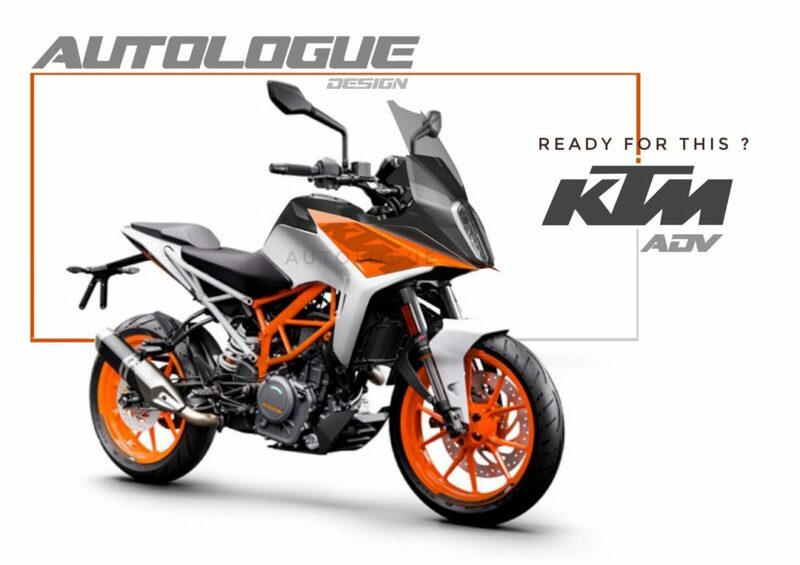 Not just that, the ADV variant will get the same theme as stock KTM adventure bikes with much bigger displacement. 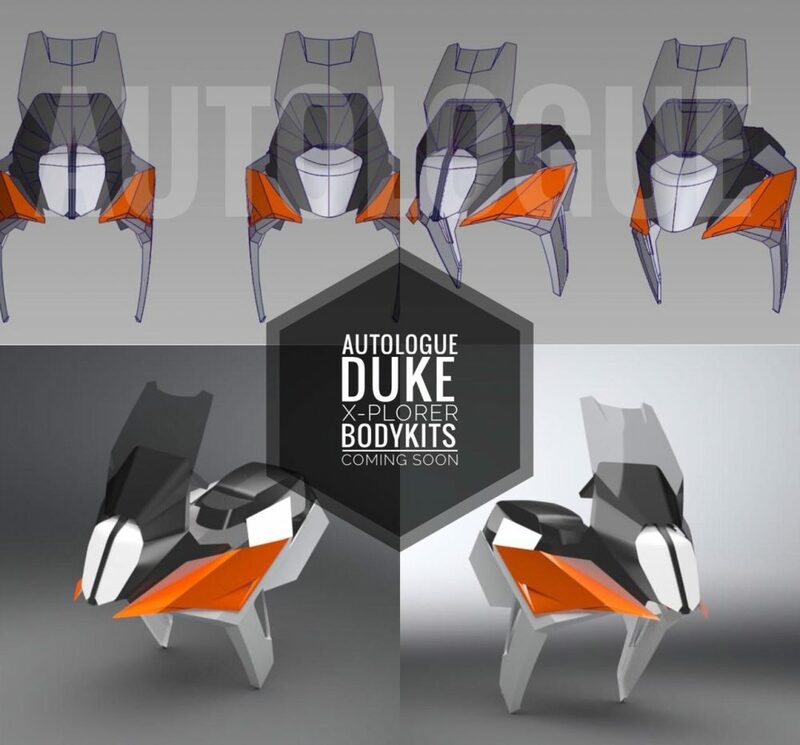 The kit is actually under construction, with Autologue Design getting user feedback for the computer-generated renderings. The front comes with stock headlight mounted panels, assisted by a huge windscreen and downward flowing tank extensions. Those available on stock KTM 390 Duke is forward flowing, going right into the direction of travel. Apart from the front section, the kit may include panniers for mounting bags on the rear end, taking the usability of 390 Duke to the next level with increased loading capacity. It may not be advisable to mount all that with a pillion as that will take the payload value higher than the maximum recommended value. KTM 390 Duke already has an impressive 180mm of ground clearance in stock condition. The resultant leaves us with one thing to worry and that’s exactly what most fans said after the renderings were official. The stock suspension is not made to withstand long travel like bikes made especially for this purpose. Also, the fragile alloy wheel and grippy tire combo will need replacement in the form of spoke wheels with dual purpose tires. 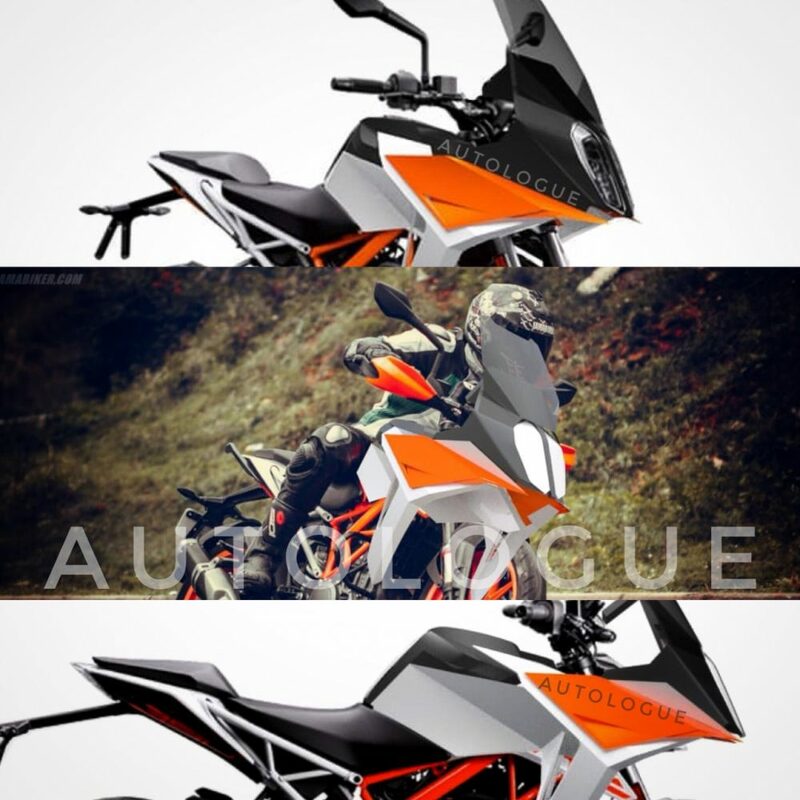 If the suspension factor is solved, KTM 390 Duke can turn into a perfect adventure bike. The 373.2cc, single-cylinder engine on the motorcycle is good for 43.5PS and 37Nm. It comes mated to a 6-speed gearbox with advanced features like ride by wire, slipper clutch and more.